"trying is only emphasizing the thing we already know"
Soon there will be lots to do in the garden - a perfect time to practice the Alexander Technique! Many people complain of backache whilst gardening. Possibly from bending for too long or bending in an unhelpful way. Why do we continue to do something when we know it we know it will cause pain! Alexander called it 'end gaining,' when we are not concerned with 'how' we do something but are intent on getting it done at all costs! Our habitual reactions are so strong that they are difficult to change. The Alexander Technique addresses this problem and with a willingness to learn we can change. How do you run? do you feel heavy or light? Enjoyable effortless running is all about being in balance. Where do you feet land? If your leading foot lands out in front of you, you are effectively 'breaking' your leading foot needs to land under your hips/pelvis and then powers you forwards! 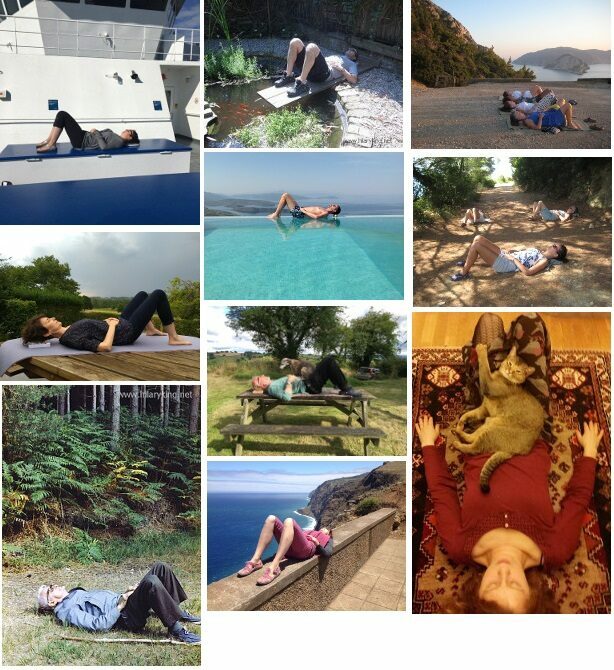 Awareness week 9th - 15th October 2017, focusing on 'lying in semi-supine' a state of active rest. Just 10-15minutes a day will allow you to notice your tension which you probably didn't know you had! so then you can learn to release it which could be the cause of those aches and pains.